Fat and Happy Food Blog Tips and Techniques: To make the squash ribbons, cut the gourd in half lengthwise, and then in half again making long quarter. Then use your carrot peeler to 'peel' long ribbons. If you have a mandolin you can use that. Serves 2: Turn on the oven broiler. While that heats up, make the squash ribbons and toss on a baking sheet (see tips and techniques above). Add a few of the squash seeds to the edges of the pan as well Spray or drizzle the squash with olive oil, add salt and pepper and toss well. Place under the broiler, keep in an eye on the pan. 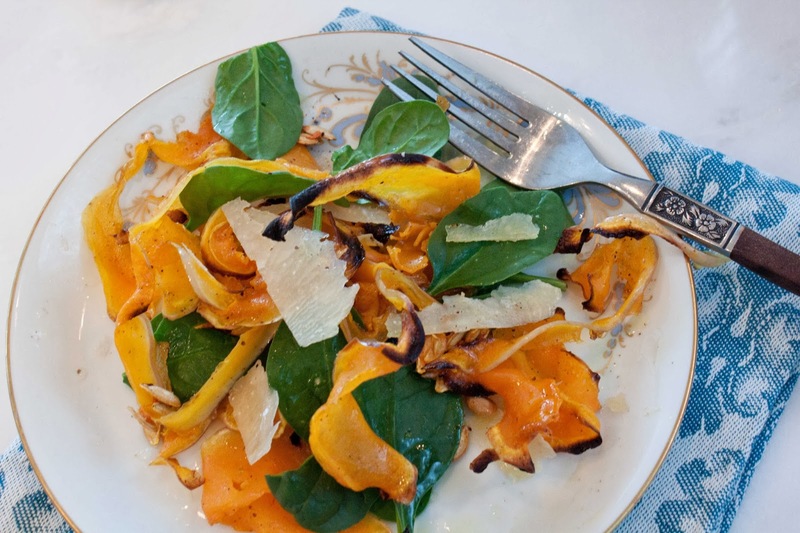 You will need to rearrange the squash as some parts begin to cook faster. Just use a pair of tongs and toss around. For a few small ribbons I even took them out of the pan early while the rest continued to cook. In all this should take less than 10 minutes. 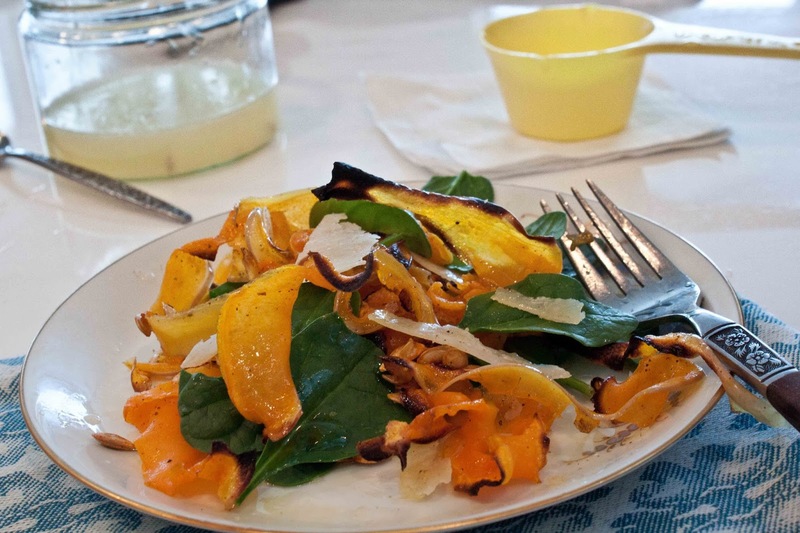 Divide the squash and seeds between two plates, add a a cup of spinach to each plate along with a few peels of cheese. Top with a good squeeze of lemon across each plate, a little extra drizzle of olive oil and additional salt and pepper if needed.